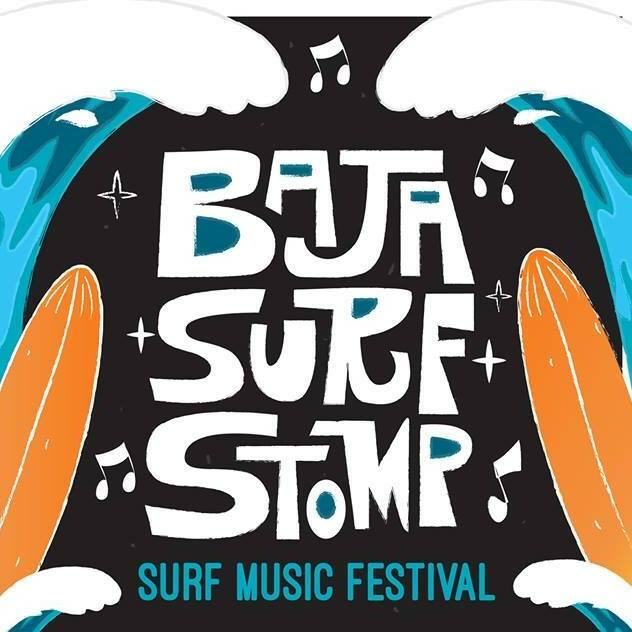 SurfGuitar101.com | News: Stories with tag: "baja-surf-stomp"
What is "Baja Surf Stomp"? 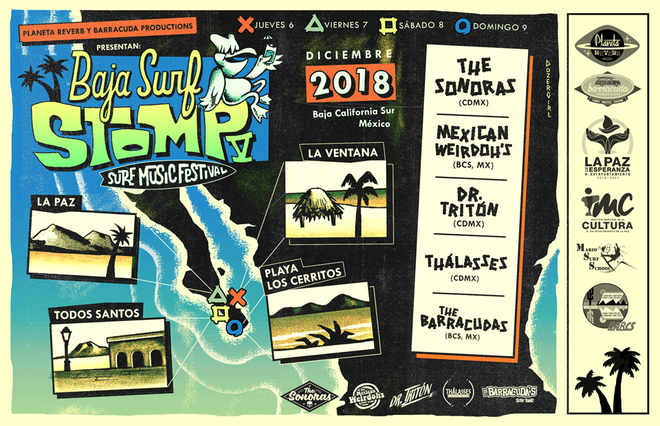 Event dedicated to the promotion of national and international Instrumental Surf Music in Mexico since 2015; organized and operated by "Planeta Reverb" & "Barracuda Productions". La Paz, La Ventana and Todos Santos (Baja California Sur, Mexico) have been chosen as venues for their intense tourist activity and good acceptance of the genre among the public of different nationalities. The fifth edition will take place from 6th - 9th December 2018 and includes "Los Cerritos" beach as the new venue for a total of 4 concerts where attendees can enjoy music as teenagers avid for fun and adventure . 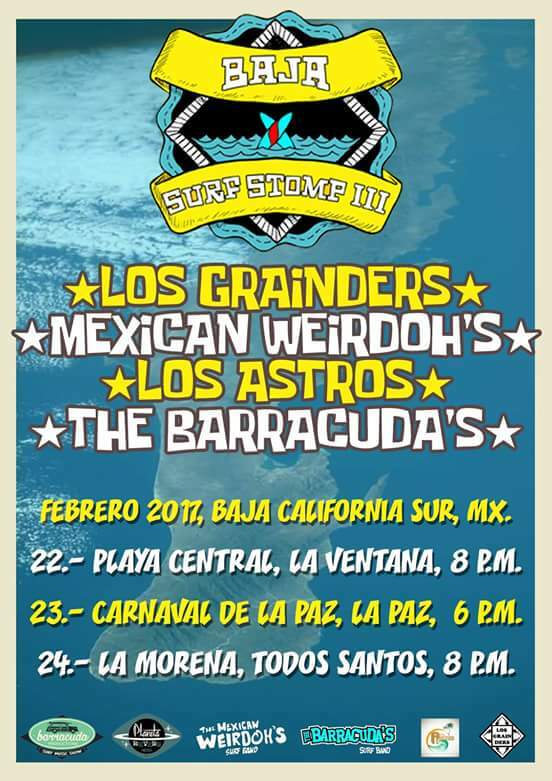 "Baja Surf Stomp" is an annual event dedicated to the promotion and showcasing of the national and international Instrumental Surf Music scene in Mexico; organized by "Planeta Reverb" & "Barracuda Production" since 2015. La Paz, La Ventana and Todos Santos (Baja California Sur) are the "hot spots" of the mini tour through the Baja Peninsula. The 5th edition (BSS-V) will take place from December 6th to 9th, 2018. Go to www.facebook.com/bajasurfstomp and find out more!